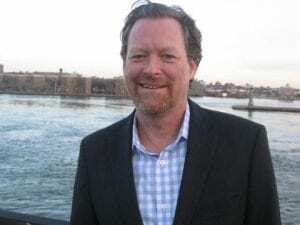 Last Thursday, on one of the coldest days in January, we met up with Chris O’Brien, Executive Director of Friends of the East River Esplanade, just a few minutes walk from our East 90th Street ferry landing at the Mansion Diner. As we sipped our hot coffee, he began sharing the history of the Friends of the East River Esplanade, a not-for-profit organization, whose mission is to restore and reinvent sections of the Esplanade from 60th to 120th Street that has largely been neglected and left in disrepair. 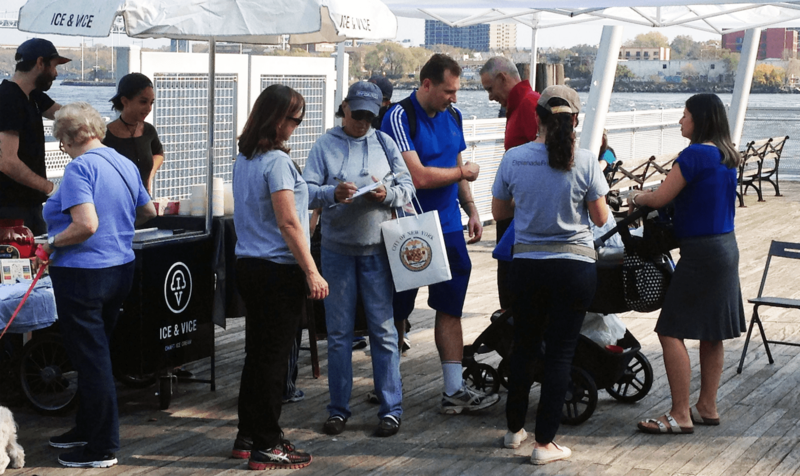 The organization strives to improve and implement quality running paths, seating areas, bike paths, piers and other amenities along the East River Esplanade. 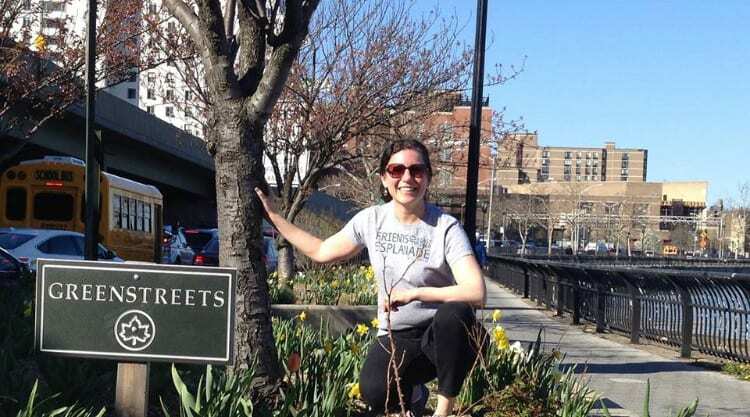 “Friends of The East River Esplanade came together as a grassroots organization, Jennifer Ratner who is intimately familiar with the Esplanade is the Chairwoman of the organization. A lifelong resident of the Upper East Side, she grew up on the Esplanade,” said O’Brien. Back in 1985, when the 60th Street Department of Sanitation waste transfer station was decommissioned, a developer proposed building an eighteen-story hotel at the site. Community members, local organizations, the Municipal Art Society and Parks Council advocated for repurposing the site into a public pavilion and the installation of the Alice Aycock East River Roundabout Sculpture instead. The coalition rallied against the developer and together raised the money to renovate and transform the site into a beautiful park. The 60th Street Alice Aycock East River Roundabout Sculpture and Pavilion has since been constructed and opened to the public, it was dedicated this past year and has become the anchor point for the East River Esplanade. The organization avidly advocates for the utilization of public-private partnerships, P3s. In 2014, the group, in partnership with Rockefeller University, applauded Rockefeller’s move to renovate the Esplanade between 64th and 68th Street. The resulting pedestrian walkways, bike paths, park areas, and increased greenery have served as a catalyst for change on the Esplanade. Additionally, Friends of East River Esplanade stood by partner Hospital for Special Surgery in 2018 as yet another renovated section of Esplanade was unveiled at 72nd St. “Rockefeller University and Hospital for Special Surgery made it look easy,” O’Brien said. Chris O’Brien took over as Executive Director of the organization about 6 months ago. His background with the Coast Guard as a producer of Fleet Week prepared him for a position like this. “I like producing things on the waterfront, and so it seemed natural for me,” said O’Brien. “Being a resident here, it has always just perplexed me that we have this beautiful park system along the Hudson and we have this patchy, neglected park system along the East River, it just didn’t make any sense.” He has some big ideas for the organization, like advocating for covering sections on the FDR and making it into a Highline or an open park space. Ideally, he would love to see the greenway connected all around Manhattan, but that seems years away. Under O’Brien’s leadership, Friends of the East River Esplanade is ready to expand programming along the East Harlem waterfront and is in the planning stage with a new project called The East Harlem Bait Station, with hopes of implementation this summer. The goal is to install the Bait Station north of 96th Street, a hot spot for fisherman. Friends of East River Esplanade is partnering with Parks, to fine tune the logistics of designing and installing the bait stations designed for the fishermen to prep their bait and clean their catch. Ideally, the station will have solar powered LED lights and a water pump to clean the cutting surfaces. 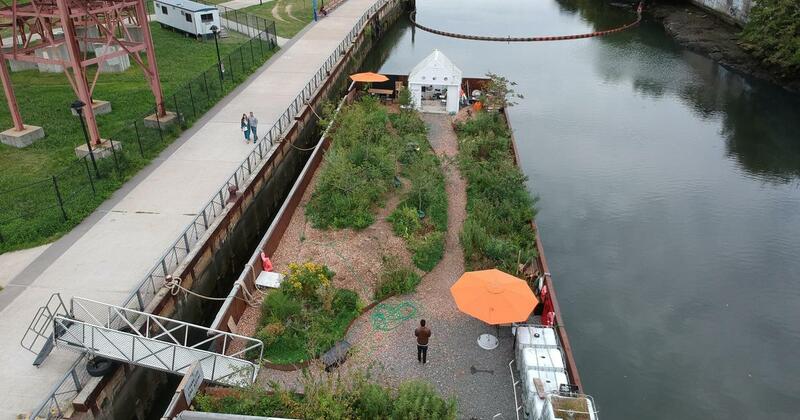 Friends of the East River Esplanade is also working on a partnership with Mary Mattingly to bring a new SWALE organic garden barge to the East Harlem Thomas Jefferson Park waterfront area. 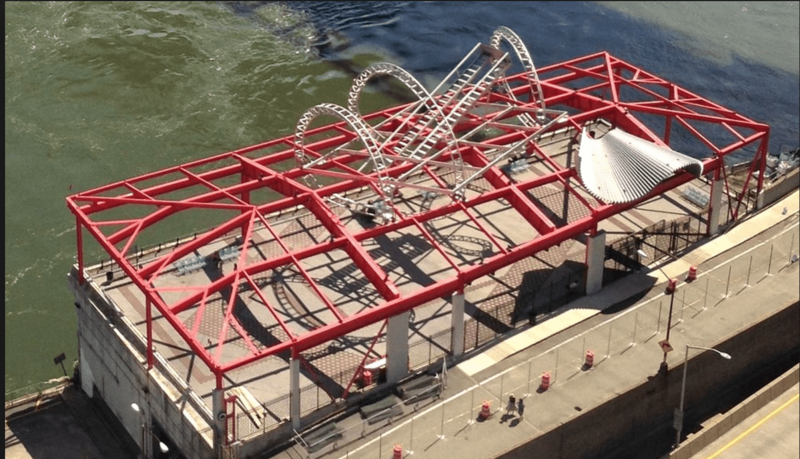 They plan to utilize the barge for educational, artistic, and community programming. The long-term goal would be to establish a permanent location for the barge. However, they’re also looking into possibly towing the barge to various waterfront communities to conduct pop-up community and education programming in underserved communities. You can take NYC Ferry’s Soundview route to East 90th St to explore the East River Esplanade. Walk the pedestrian paths along the waterfront that Friends of the East River Esplanade helped to restore and reactivate.